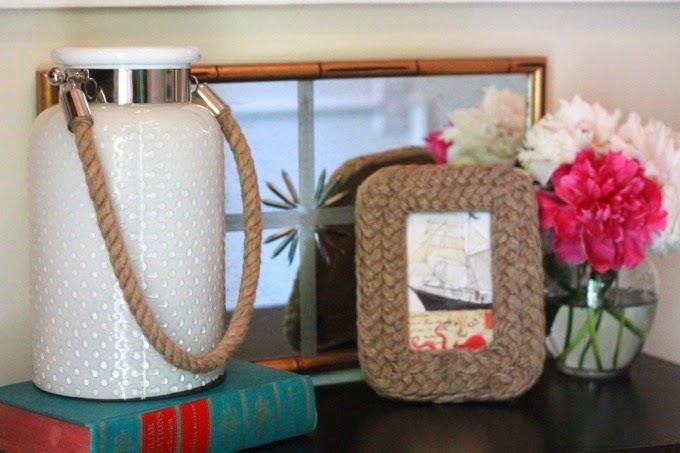 Here are some more amazing nautical treats for your space! My theme: “rope,” with a little rugged & refined look! While having a “theme” keeps things organized, too much of the same can be an overkill! 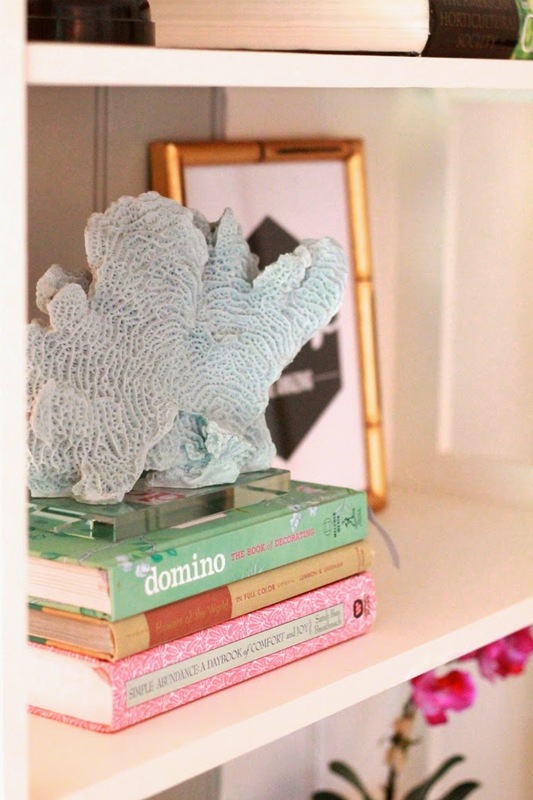 I love finding a few special touches to sprinkle in your space and done! Since we are into summer and I’m currently working on a beach home for a client, I’m definitely seeing and feeling coastal like! 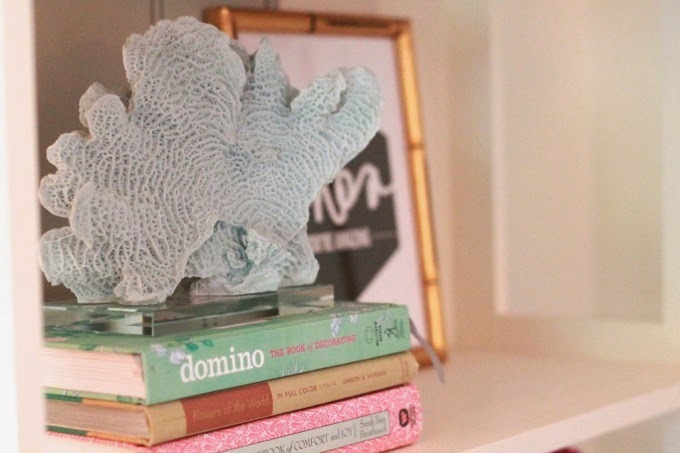 How about this perfect sea~foamy green piece of coral on a glass base?! Not only a soothing color but was also soothing on the wallet for $25 from Homegoods! Pop her anywhere and you immediately have sea side beauty! 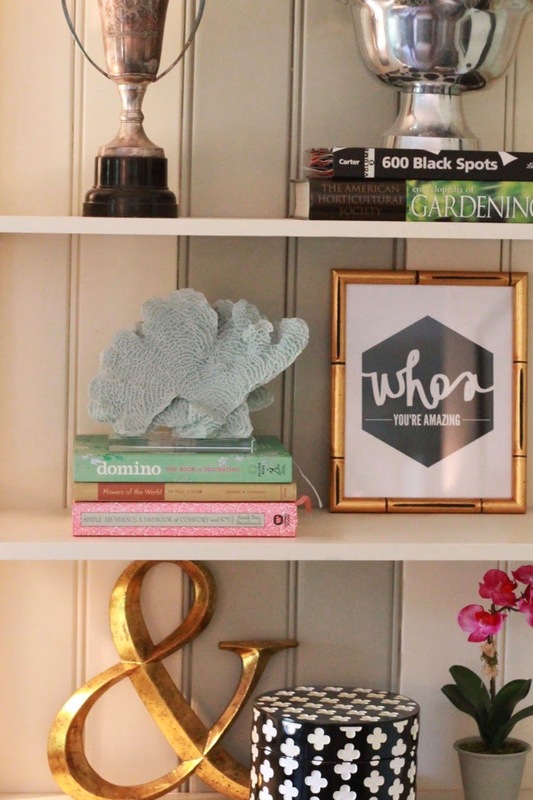 Don’t stop at the bookcase, think of your foyer! Your foyer is the first thing your guests see when they come in, so have fun with it, no matter how big or small & change it up seasonally. Lanterns are great to add ambiance and a glow, I’m loving this Cynthia Rowley milk-glass rope combo that was only $39.99. I’ve paired that with a rope-jute like frame with a greeting card from Trader Joes, for a grand total of $9, instant art! So whether you’re rugged or refined, or a little of each, mix and match those opposites for an overall well balanced look!